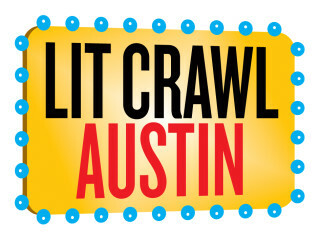 The Austin Lit Crawl is a collaboration between the Texas Book Festival and the Litquake Foundation featuring some of America's most groundbreaking and beloved writers onstage and in conversation. What does Lit Crawl sound like? Your favorite writers vying against each other in Nerd Jeopardy. Spooky tales in the Texas State Cemetery. Hilarious, unscripted stories from award-winning authors in a kiln room. A fight to the death (in a Literary Death Match, that is). Put on some comfy shoes, grab the map and schedule and meet everyone at The North Door. The east Austin crawl will take you from Wonderland, The Liberty, Clayworks Studio/Gallery, Studium, The Volstead and back around again. And don't forget about the after party back at The North Door after it's all finished. Participation is free, but don't forget to support the venues by grabbing a beer or a book along the way.